Sink your teeth into the rich taste of 85% dark chocolate with this utterly gorgeous Divine chocolate bar. The bold dark chocolate taste has a touch of lemon to it; complementing the bold dark chocolate with a sharp citrus overtone. Made in Germany, this chocolates recipe uses organic lemon oil and organic cocoa gathered from fair trade sources. Every bar is created with ingredients cultivated and gathered in an ethical and sustainable way; earning this bar the official FairTrade label. Cocoa mass*, sugar*, cocoa butter*, lemon oil*. *From organic agriculture, certified by DE-OKO-013. MAY CONTAIN: milk, cereals containing gluten and nuts. 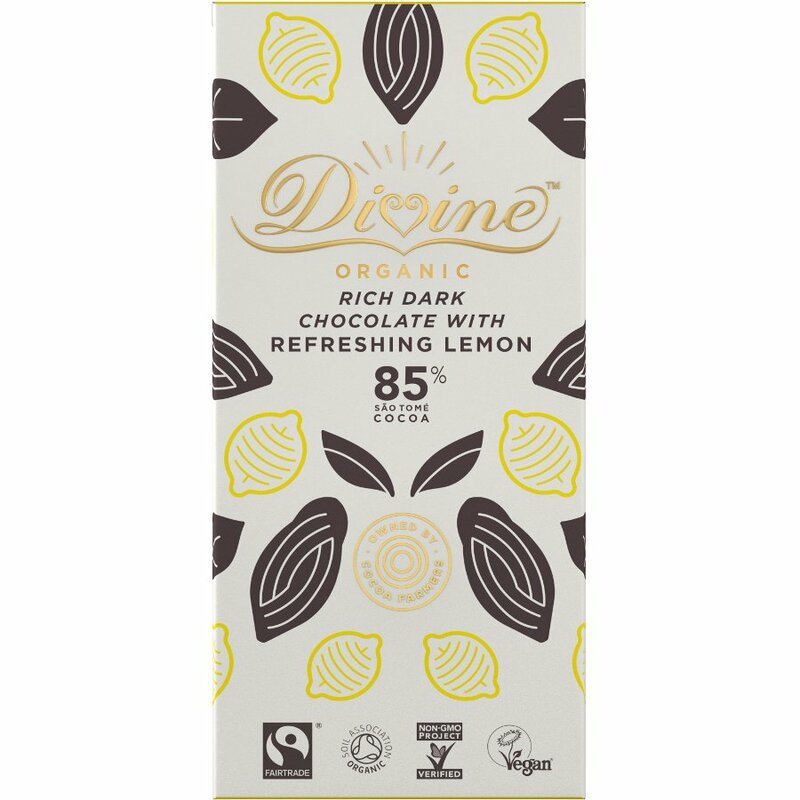 There are currently no questions to display about Organic 85% Dark Chocolate with Lemon - 80g.